With cooler weather arriving, it is time to curl up in front of the fire with a cup of tea or cocoa and select a nice thick book to read. It's funny how I read more non-fiction in the cooler months and save the fluff for summer. Two of three of these books are non-fiction and I am truly looking forward to reading them all. 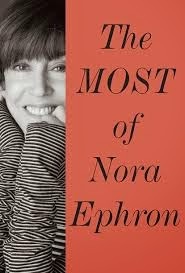 Nora Ephron, who passed away just in 2012, has a compilation of many of her works collected in The Most of Nora Ephron. What an amazing writer who brought us many humorous and unforgettable stories. 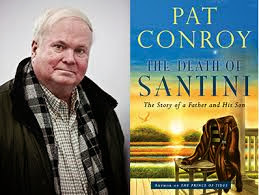 And if you have read my blog from the beginning, you know what a huge Pat Conroy fan I am. I believe he is one of the best writers out there today. He tends to write about my life, the people I grew up with and people who surround me. The South in all it's perfect beauty and hidden shame. The Death of Santini: The Story of a Father and His Son. 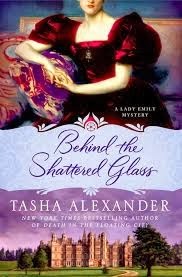 The third, Behind the Shattered Glass, is a continuation of a fun, cozy mystery series and is always enjoyable to visit with the characters again. Happy Autumn and Happy Reading! p.s. Just finished reading This House is Haunted by John Boyne and thoroughly enjoyed it. Very Dickensian! Thanks for posting such valuable information. Keep posting. I have some info as well about travel In my name.